After wowing audiences at its premiere at Liveworks 2010, Aphid’s Thrashing Without Looking returns to Performance Space on a national tour. 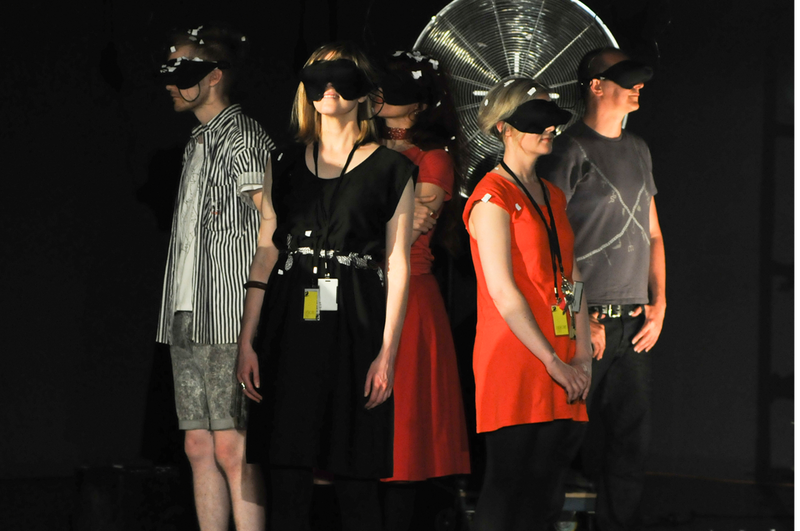 Performance and live cinema combine in an intimate sensory experience. Created by the audience, for the audience, it involves video goggles, champagne and a lot of loud music. Thrashing Without Looking is an unmissable 3am ride through loneliness, frenzy, banality and cliché. A performance you can watch, create, perform and control. Presented by Carriageworks, Performance Space and Mobile States.